The Wedding Feast at Cana is one of the most important, beautiful passages in the Gospels. But there have always been parts that have stumped me over the years. The first one, like most people, is the way Jesus talks to His Mother .... he refers to her as "woman". I quickly learned, however, that this phrase was a term of respect back in Jesus's time. It was not the cold statement that it feels like in today's language. But the one item that that has always puzzled my very-human mind, was why Jesus initially said His time had not yet come, yet, changed His tune once Mary told the servant to do whatever Our Savior asked. This weekend I heard a possible reason I had never heard before. 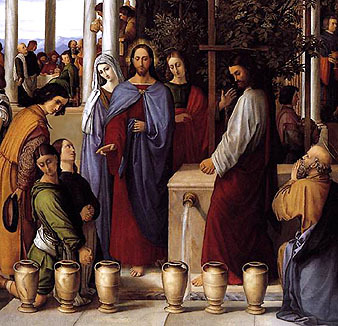 Most scholars safely assume that Joseph, Mary's husband, had passed away long before the Wedding at Cana. If that were the case, then Jesus would have been responsible for Mary and the household. Being human, as well as Divine, it was possible that Jesus did not want to start His mission until He was sure Mary would be ok. (He was, after all, the greatest Son ever!) Perhaps that exchange at the wedding feast was Mary telling Jesus she would be fine ... that it was time for Him to go. Of course, we have no idea if this scenario is true or not, nor do we know all the context behind the few words that are written in the Gospel. However, I had never heard this explanation before, and wanted to share with all of you. I'd never heard this explanation before, either. It's worth considering. It is also significant that Christ's first miracle is at the request of His Mother. 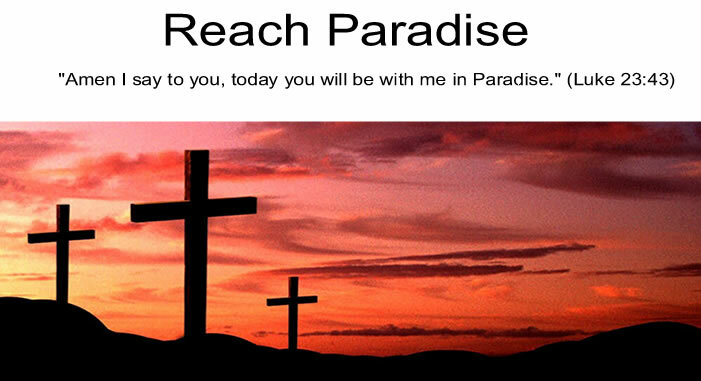 This is a sure sign that He expects us to pray to her and ask her to intercede for us. She and Jesus were guests at the wedding. They were not in charge or responsible for the refreshments. She noticed a need and asked her Son to intervene. Hi Michael, thanks for stopping by my blog. I'm glad I found yours. You know, I was asking myself that very question today at Mass during the Gospel reading. In fact I noticed that Christ was with His disciples at the wedding - I never noticed that before - and I think He was already baptized. Doesn't that mean He was already in His time? I don't know what to make of it, and your explanation is also interesting. As to the "woman" reference, Fr. Richard Simon from Relevant Radio - who is a brilliant scholar by the way - says that "woman" is a poor translation. The more accurate translation would be "my lady" or something more chivalrous. Victor, thank you for your comment and for reminding us to ask Our Blessed Mother to intercede for us. Manny, thanks for stopping by and for the information and links. "My lady" certainly sounds more appropriate than "woman", doesn't it? I will have to check out the blog and radio link you shared. "Yet for our sake, You did not rescue Him"
Where Did the Gifts Go?